Through our association with Bluefin Sports Insurance UK Ltd, different aspects of insurance will be available to member's i.e. sickness and disability benefits, Professional Indemnity/ Public Liability for instructors of £5 million; Public/Third Party Liability for students of £2million. Also with personnel with over 50 years’ experience and our excellent reputation, you can safely be assured that your premium will actually reach the insurance company and not be pocketed by some unscrupulous individual. All our Instructors are offered the opportunity to benefit from our comprehensive Instructors Indemnity Insurance/Public Liability, which provides cover for £5 million. The cost for this is negligible in comparison to the peace of mind it provides. Obviously we can quote all sorts of figures, but we are not in the habit of playing the numbers game. In the case of professional negligence it would be up to the courts to decide the actual amount. Unlike some other organisations, we do not want to make promises of all kinds of cheap cover, just to get you to join. In terms of affiliation cost, we are not the cheapest, but we like to think that our fees reflect the quality of service that we provide and the high esteem which the association enjoys. Unlike some of our competitors with worthless qualifications, dubious reputations and suspect credentials who will try and tempt you with offers of cheap licences. Also with conscientious office staff at your disposal there is always somebody on hand should you need any help or advice. Our membership fees are competitive and offer good value for money. To take their own costs and overheads into account, Instructors may charge in excess of the basic fee and licences will be receipted accordingly. Discounts, which can be negotiated on an individual basis, are also available for larger groups. 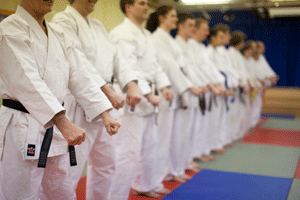 Instructors who are running a group of clubs should register each one separately. We get many enquiries from the general public asking where they can find a club and we need the registration information so we can pass on these enquiries to you.